The April 26, 2004 issue of the Journal of Vertebral Subluxation Research highlights a literature review that documents the health benefits that people without symptoms experience under chiropractic care. Vertebral subluxations are misalignments of the small bones of the spine that interfere with the nervous system, body function and health. Chiropractors have long maintained that people should not wait until symptoms appear before seeking chiropractic care to address their aches and pains: that keeping the body free of subluxation interference is a good way to help the body function better with better health as a result. One way to test this is to take people who have no symptoms, put them under chiropractic care and then monitor various body systems for improved function. The author of this study reports that the available research does indeed "lend strong support to the popular contention that chiropractic adjustments, for the purpose of correcting subluxations, confer health benefits to people regardless of the presence or absence of symptoms." 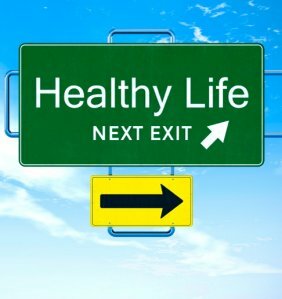 More than 20 research articles collectively documents "significant improvements in respiration, range of motion, heart rate variability and autonomic function, endocrine function, cardiovascular function, immune function, muscle strength and overall athletic ability of "health" or specific-function "normal" individuals." Improvements were also noted in "reaction ­time and information processing, visual acuity, stress and reproductive hormones, healing/ recovery time, general health of senior citizens, and reduced labor times of pregnant women following or during chiropractic care." chiropractic care may benefit every function of the body."